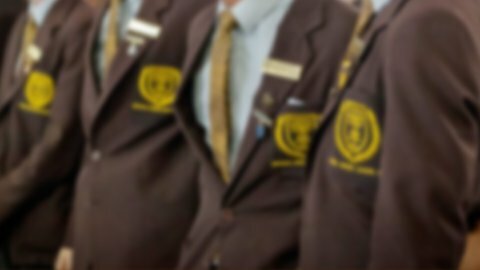 Padua College participates in a number of programs which can provide Scholarships or Bursaries for students. Padua participates in the ACER Cooperative Scholarship Testing Program (CSTP), an annual testing program for scholarships for independent schools throughout Australia. The exams used for these scholarship selections are written by the ACER (Australian Council for Educational Research) in Melbourne. The ACER supplies these tests to the schools participating in the program. Scholarships are offered for Years 7 to 9 and Years 10 to 12 only. The successful students in each category are awarded an Academic Scholarship at the discretion of the College Rector. Allan and Joan Napier had a long and close association with Padua College and the Franciscan Friars of Kedron. Allan and Joan’s sons Mark (french horn), John (cello) and David, and their grandsons Matthew (viola and trombone) and Stewart (violin and french horn) attended the College from the early 1970’s into the 2010’s. The family’s decision to make a bursary available reflects their commitment to instrumental music education and their desire to support the teaching done by the Franciscan Colleges Instrumental Music Program (FCIP) of Padua and Mt Alvernia College. Recently, the 2018 Allan and Joan Napier Family Instrumental Music Bursary auditions were held for FCIP musicians. The FCIP would like to thank the Napier Family for their generous ongoing support of the FCIP. We would also like to acknowledge the efforts of all those students who prepared work and auditioned for this valuable prize. The auditions were of a good standard and many students were very well prepared indeed. These students performed some difficult material and we congratulate them for their well-prepared and enjoyable auditions.